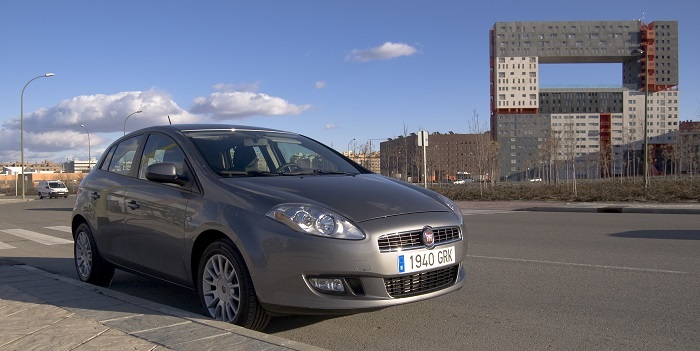 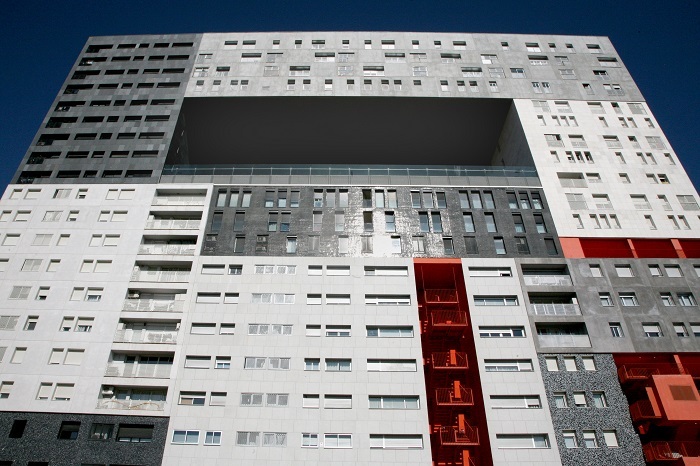 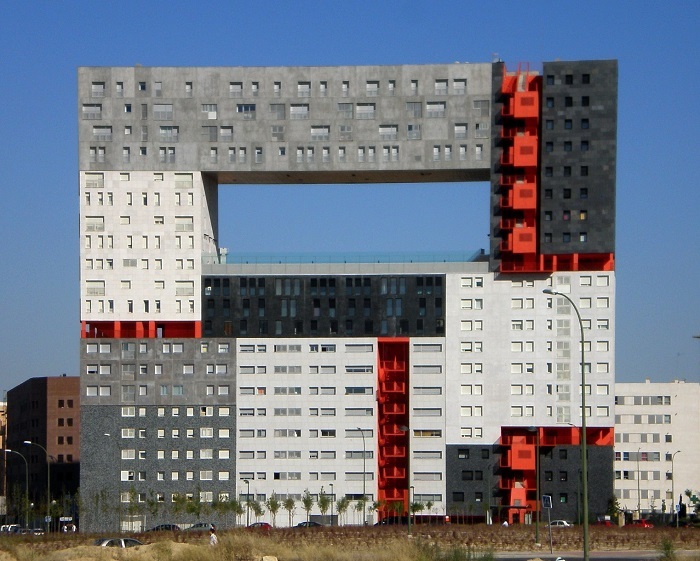 The Mirador Building is a residential housing building which is located the neighborhood of Sanchinarro, in the northeastern part of the capital city of the Kingdom of Spain, Madrid. 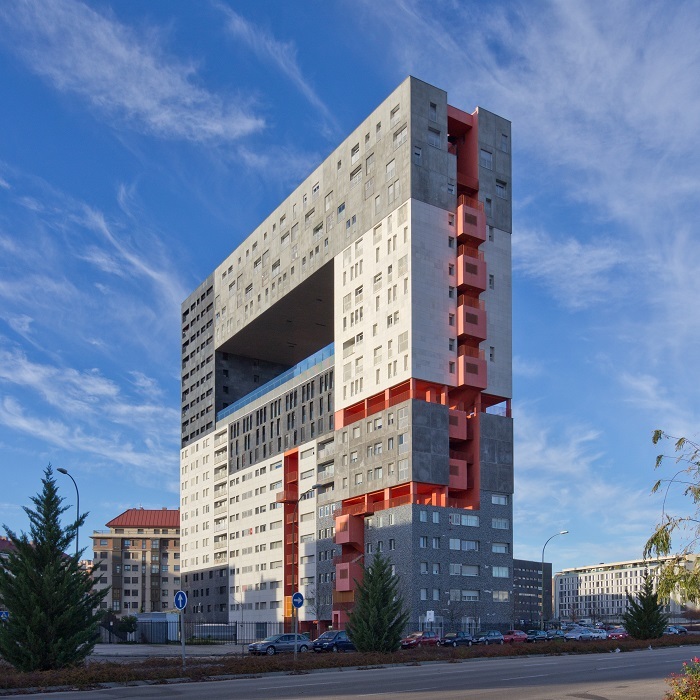 With 22 floors, Mirador follows an unusual design which was created by the Dutch architects studio MVRDV in collaboration with the Madrid architect, Lleó Blanca. As the city was expanding and housing blocks were constructed all around the city, the architects wanted to create something like a collection of mini neighborhoods which will be stacked vertically around an even shaped sky square. 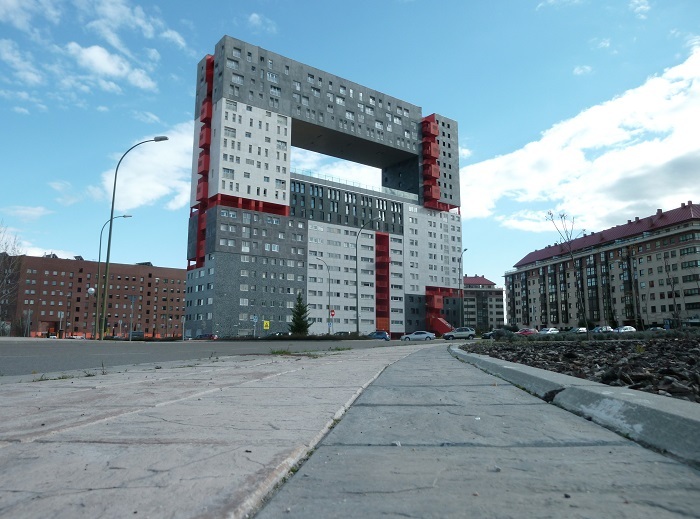 With its height of 63 meters (207 feet) above the surrounding neighborhood, there are some 155 apartments where the residents are able to go out on the common lookout area that can be seen at the aforementioned sky square at the very center of the building. 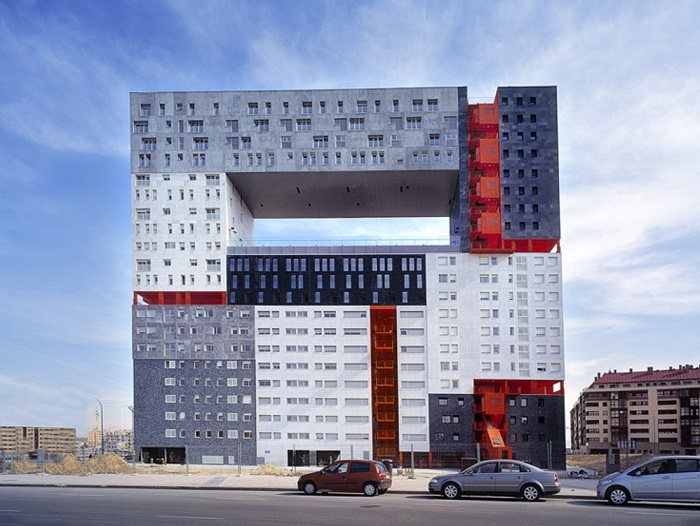 Grouped in small building blocks that are stacked and glued together in order to create one super block housing unit, Mirador Building has no front nor backside since the façades are identical. 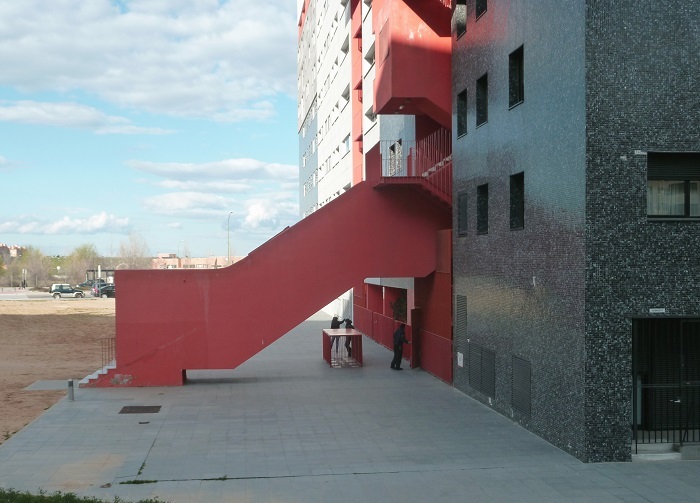 This is because the architects wanted to avoid the constant repetition of the standard family homes which are always repetitive in the city. 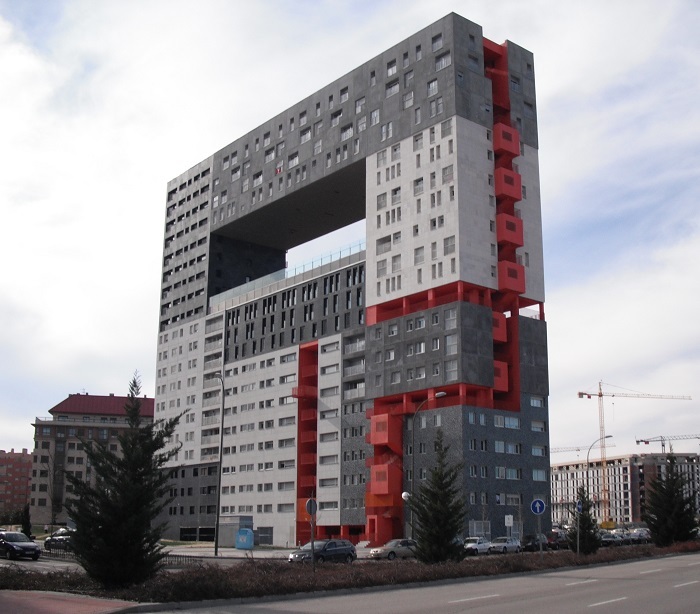 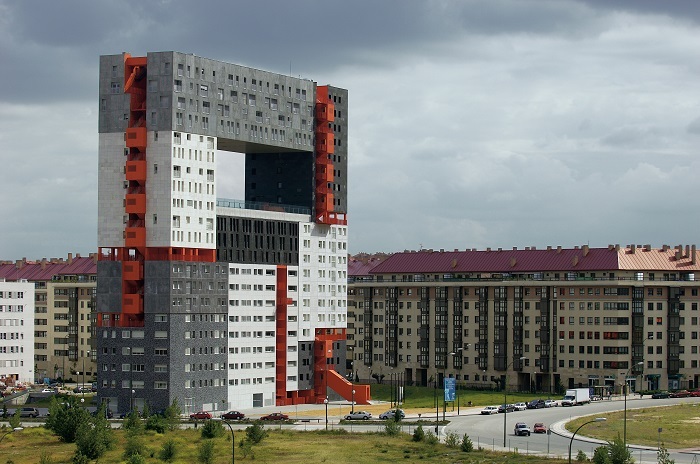 Ultimately creating a modern masterpiece, the MVRDV Architects definitely outdid themselves since this kind of building is not often seen around Europe, even though there is some sort of pattern that can be seen in some Feng shui buildings in Asia.